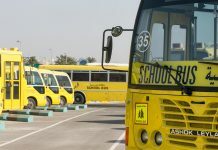 Though 25 pc of the public transport users in the UAE are within the age group of 18 to 25, majority of youngsters continue to opt for cars as their primary mode of transport. According to a recent survey, 66 per cent of new car buyers in the UAE falls in the age group of 18-29 years, 61 per cent of which are first time buyers. The survey, conducted by Tetrahedron Consulting, also shows that 41 per cent of motorists drive their vehicles just for fun. 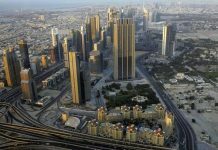 Khaleej Times spoke to a number of young drivers, new car buyers as well as a senior public transport official about their opinions on the survey. 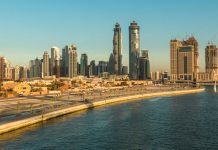 A majority of the youths said they preferred driving over public transport, despite drastic improvement of mass transit system in the UAE, particularly in Dubai and to some extent in Abu Dhabi. Though the country’s harsh weather through most of the year plays a part in the decisions of youngsters, the style statement it brings coupled with easy availability of loans as well as low car prices make the choice easier for them. However, the biggest influencer, it seems, is the peer pressure. “When you see a Maserati, a Ferrari or a McLaren with your friends, you are under pressure to at least have an Accord or a Camry. There is a lot of peer pressure and cars are always the first thing you want to have as you turn 18,” observes Maria Jameel, a fresh graduate, who got a car first thing after getting a job. Apart from being a tempting toy, youngsters who have grown up being driven around on cars since their childhood, see private vehicles as more convenient than public transport. “Car is the only mode of transport I have seen since my childhood. We have been going around either on my dad’s or mum’s car and now I have mine. I have rarely travelled on public transport, which has only improved over the last few years,” said Anees Ahmed, 20, who was born and brought up in Dubai and now drives a Porsche to his university. Even youngsters from a middle class background look up to cars as a thing to have. They buy a car first thing after securing a job, mostly treating it as dream come true after spending years travelling on buses. “As a student, I along with my siblings and friends, travelled on buses to school and later to college. Coming from a background that I had, I always dreamt of having a car of my own. When I came to Dubai and got a nice job, the first thing I did was buy a car because it is easy to get a loan here and prices are so low. 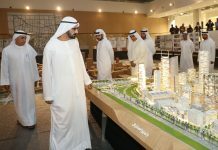 Back home it is very difficult,” says Raju Prasad, a 25-year-old engineer from Bangalore, who came to Dubai two years ago. 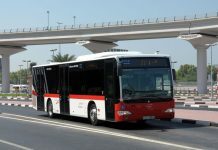 Interestingly, the Roads and Transport Authority, which is the public transport operator in Dubai knows the task in hand when it comes to attracting the youth, despite the fact that public transport has improved drastically over the last four or five years. “It is something we are keen to improve on. 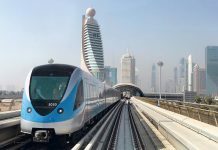 We are aware that a majority of young people continue to prefer private cars over buses and metro, but we believe things will change as public transport culture is still very young in Dubai,” says Mohammed Abubaker Al Hashemi, Director of Planning and Business Development at RTA’s Public Transport Agency, when presented with the findings of the survey. 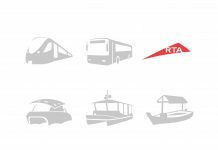 He says the RTA is working on multi-pronged basis to attract all segments of the society and particularly the students and youngsters, and the launch of special fares for students is one of the incentives to attract them. “We are studying several proposals. One of them is to have wi-fi Internet connectivity in all public buses. 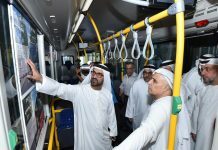 Our special team is already in talks with etisalat and du to provide wi-fi in intercity buses and once we see the result of it we will decide on having it in the urban buses as well,” said Al Hashemi, detailing the incentives they are planning to offer to get youngsters on public transport. However, Hashemi concedes that young people would continue to prefer cars over public transport until and unless it is not made difficult for them to buy cars. “A car is something very tempting for young people. As a child you have toy cars and you want to lay your hands on a real one as soon as you are eligible for it or as a first thing when you start earning. When the eligibility criteria are so easy and the loans are easily available, then definitely every young person, particularly a boy, would go and realise his dream as soon as he can afford it,” explains Hashemi.